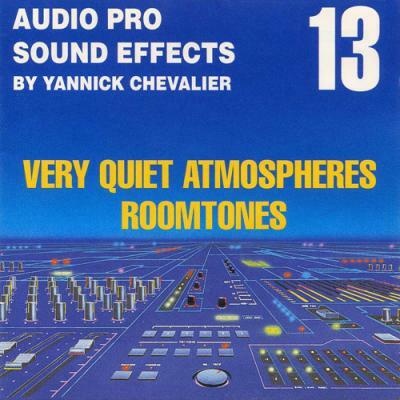 01 AMBIANCES - SALLE DE SEJOUR / PETIT BUREAU : CALME 2:48 Birds in bg. 13 AMBIANCES - VILLE : PETIT JARDIN PUBLIC : TRES CALME - OISEAUX 2:38 Traffic in bg. 16 AMBIANCES - VILLE : TRAFFIC DU 36EME ETAGE / FENETRE OUVERTE 2:37 New York City. 42nd Street. 22 AMBIANCES - ESCALIER : GRAND VIEIL IMMEUBLE - VENT 2:38 Horror, tension, fear.